I am sure you will find what you are looking for and I do hope that it will include a visit to our Church. 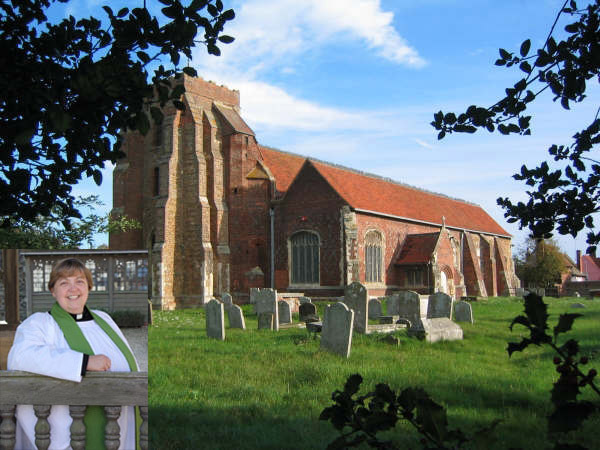 St Osyth Parish Church is a beautiful building which lies in the centre of the village. Whether you are a member of a congregation or a visitor, or just passing and drawn by spiritual need we hope you will find our Church a welcoming and uplifting place to be. You will not be visiting a museum but a lively centre of worship and music. It is a happy, special place and we hope you will join us both in worship and in the many activities that are organised here at St Peter and St Paul. You are very welcome at any of our services and we trust you will find peace, joy and friendship within our inclusive and enthusiastic Church family. Our Church is both used and loved in equal proportion! We hope that you will find the information you need on this website. It is still a work in progress so more material will be added as we go along. At the moment it includes details of who we are, our regular services and when they are, special and seasonal services plus, of course, fund raising and social events. If you cannot find what you are looking for then click here to contact us. Date for your diary – ST OSYTH PUDDING CLUB SUPPER on Friday 12th April. Profits raised from this will be shared between the Church and St Osyth School PTFA Swimming Pool Fund. For more details click here.